Isagenix is a comprehensive system of products designed to help everyday people achieve their health, fitness, and weight loss goals. Isagenix products include snacks, supplements, and cleanses that restore your body to its natural state by removing toxins and built up impurities. Each Isagenix product was carefully created with natural ingredients to ensure that your body receives the detoxifying benefits without any unnecessary ingredients or flavours. The results of Isagenix have been proven to include weight loss, improved energy levels, and improved overall health. Isagenix customers around the world have reported outstanding results from substantial weight loss to major athletic achievements. What makes Isagenix different from other wellness programs? Isagenix has separated itself from competitors since it was founded. The creator of Isagenix, John Anderson, is known around the world as the ‘Mineral Man’ for his research and experience with Eastern medicinal philosophies. Rather than loading his products with manufactured Western chemicals, Anderson used his knowledge of Eastern ingredients to create healthy supplements that are all natural. We like to pride ourselves on the fact that Isagenix provides all of the ingredients that you need for a healthy lifestyle and none that you don’t. Each Isagenix product is easy-to-use, affordable, and filled to the brim with health-enriching ingredients. Is it difficult to follow the Isagenix program? Once you get started, Isagenix is incredibly easy to follow. In fact, we believe that Isagenix will actually simplify your daily life. Isagenix’s 30-day cleanse programs are designed to replace meals with Isagenix Shakes and Cleanses. These pre-made products take the planning and guesswork out of the majority of your meals. Rather than spending time at the grocery store and cooking, you just combine one serving of Isagenix’s IsaLean Shake or Cleanse for Life with cold milk or water. No more worry about preparing an assortment of healthy meals; Isagenix takes care of everything with delicious, nutritious meal replacements. Can I try out Isagenix without committing to a 30-day program? Isagenix products can be purchased separately and there is no obligation to purchase a 30-day cleanse program. However, we recommend making the commitment to a 30-day program to give Isagenix a fair chance. It has been proven that it takes 14 days of dedicated practice to adopt a habit; a 30-day program of Shake and Cleanse days will set you on the right path for improved health and wellness. If you are not satisfied with the results of your first Isagenix purchase, you are eligible for a full refund. You can view the individual prices of Isagenix products by checking out our full selection of Isagenix shakes, cleanses, and supplements. When purchasing Isagenix products, bear in mind that they will replace the cost of other food and nutrition expenses. While a 30 day cleanse costs around $350, it works out to a daily food bill of under $12: less than one meal in a typical restaurant! In Australia, shipping is billed at a flat rate of $14.95 no matter where you are or the size of your order. Orders can also be picked up from the Sydney Isagenix warehouse for a reduced rate of $9.95. Can I get a refund if I don’t like Isagenix? reason, whether you didn’t see results or simply didn’t like the taste of the Isagenix products. Isagenix will refund the full cost of the order minus shipping and handling charges and membership fees. 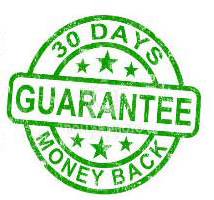 To apply for a refund, contact Customer Care within 30 days of your invoice. Because of this 30-day policy, we recommend ordering a 30-day Isagenix program to give the products a fair chance. If you are unsatisfied with the results, you will receive a refund; if you’re happy with the results, you get to keep using one of the world’s top nutrition programs! For how long do I have to use Isagenix? You can stop using Isagenix products at any point, and there is no obligation to complete a 9- or 30-day program once you have begun. There are no exit fees are contracts associated with stopping an Isagenix program. Some customers choose to use Isagenix products for 1-2 months as a means of resetting their health and fitness. For best results, however, we advise our customers to use Isagenix products for healthy habits as long as possible. Whether you use Isagenix vitamins to supplement your immune system or IsaLean Shakes as effective meal replacements, you will be making the choice to improve your daily fitness. Do I have to sell Isagenix to buy the products? While we believe that Isagenix is one of the best business opportunities out there, there is no obligation to sell Isagenix products. You can order Isagenix online or from any Isagenix distributor without making any commitment to sell products. Additionally, customers can sign up for the autoship feature regardless of their status as a distributor. If you are interested in taking advantage of the business opportunities offered by Isagenix, contact IsaElite for more information. We love helping new entrepreneurs to meet their goals! What is an Isagenix Cleanse? Deep cleanses, like those offered by Isagenix, are nutritional programs designed to flush the body of toxins and chemicals that could lead to adverse effects. On Isagenix Cleanse Days, you will consume four servings of Isagenix Cleanse for Life, an aloe vera-based powder that is mixed with water for a powerful purifying formula. In addition to these cleansing drinks, you must drink at least 2-3 litres of water throughout the day. While Cleanse for Life releases the toxins from your internal systems, the water flushes them out for good. Over the course of a 30-day Isagenix program, you can expect to complete at least four Cleanse Days. For more impactful results, users can complete two cleanses per week. How do I prepare for an Isagenix Cleanse? It is important to prepare for an Isagenix Cleanse Day for increased results and personal comfort. Make plans to rest from exercise or complete only a light workout on an Isagenix Cleanse Day, as the reduced caloric intake will not support a substantial workout. Consider adding extra calories to your meal on the preceding Isagenix Shake Day. Plan in advance what snacks you will consume over the course of the day; we recommend Isagenix Snacks, IsaDelight chocolates, or a small serving of fruit. Finally, be sure to make a plan for when you will drink the requisite 2-3L of water throughout your Cleanse Day. Remember, the water is as important as the Cleanse itself! Unfortunately, it is almost impossible to avoid some of the toxins and dangerous chemicals that are in manufactured foods and other products. Over the course of months and years, these toxins accumulate within your body and cause damage and deterioration to your internal processes. This buildup of toxins has been known to affect the digestive, immune, and nervous systems. 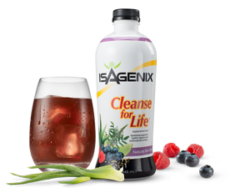 Cleanses derived from natural ingredients like those found in Isagenix Cleanse for Life work by releasing the toxins that have accumulated in the body’s various internal systems. Substantial hydration then flushes the toxins away for good, leaving you feeling refreshed and rejuvenated. Should I ask my doctor before using Isagenix? If you currently use prescription medication or are under the supervision of a doctor, we recommend checking with them before beginning any nutritional program including those provided by Isagenix. Share the list of ingredients found in your Isagenix program and explain your desire to maintain healthy habits; your doctor will tell you whether or not the program is compatible with your current medical profile. In some instances, we have found that the results of Isagenix have decreased customers’ dependence on medications. However, only a doctor is capable of making that decision. Can I use Isagenix while pregnant or breastfeeding? Products like IsaLean Bars, IsaLean Shakes, and other dietary supplements can be used in addition to a regular diet but should not be used as meal replacements. The most effective role for Isagenix during pregnancy is a nutritional supplement, providing the vitamins and minerals necessary for a healthy baby. Why do I need to drink so much water while using Isagenix? Because Isagenix products are so effective at releasing toxins from your body, it is imperative that you drink enough water to flush them from your system for good. Without ample hydration, the toxins will remain in your body and continue to disrupt your internal processes. IsaElite recommends at least 2-3L of water per day while using Isagenix products. Herbal teas can be substituted for plain water. Can I drink coffee while using Isagenix? While it is not dangerous to drink coffee while using Isagenix, we recommend avoiding caffeine during your first 30-day cleanse to allow your body to focus on purification. Coffee has been widely acknowledged as a helpful tool for weight loss, and it is acceptable to drink 1-2 cups of coffee per day while using Isagenix to maintain weight loss goals. 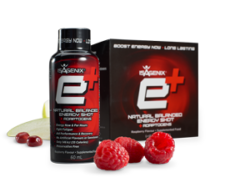 Alternatively you could try our Isagenix e+Shots to give you the boost your looking for. I’m a vegetarian. Can I use Isagenix? All other Isagenix products including Cleanse for Life are vegetarian-friendly. Is Isagenix compatible with restricted diets like vegan, gluten-free, kosher, or soy-free? How can I make money with Isagenix? As you experience the health and fitness benefits of Isagenix, you will likely be inspired to share the excitement with friends and family. By encouraging these members of your network to become members of your Isagenix team, you are increasing your earning potential exponentially. With each new member of your team, your commission increases; many Isagenix distributors earn yearly salaries of six figures or more! Is it possible to make money with Isagenix while maintaining a full-time job? The Isagenix business opportunity is unique because it is completely flexible; you can maintain a full-time job while managing your Isagenix business. Isagenix provides many of the tools needed to launch your business, including website templates, personal training, and private networking communities. While you will experience more success as you devote more time to your Isagenix business, many distributors have earned substantial profits while also maintaining full-time careers. Why is it important to join a good team? An established team will be comprised of several members who have gone through the process of launching and developing a successful Isagenix business. By joining a good team, you are combining your knowledge with the insight and experience of your team members. With their guidance, you can avoid some of the pitfalls of starting a business while taking advantage of their advice to achieve rapid growth. Thriving teams often host networking events and training sessions to help members grow. Is Isagenix a pyramid scheme? Unfortunately, many unscrupulous companies within the network marketing industry have cast other upstanding businesses in a negative light. Isagenix is not a scam or a pyramid scheme. Pyramid schemes are based on the idea of signing up new employees with costly entry fees while never selling actual products. Isagenix, on the other hand, is built around marketing and selling a comprehensive line of health and wellness products. While it is beneficial to encourage new entrepreneurs to join your team, the bulk of your profits will come from retail sales.